Is there a better place to celebrate Christmas than Vermont, where the air has a fragrance of pine needles and the ground is (most likely) dusted with snow? For the past 25 years, Woodstock has hosted Wassail Weekend, a pre-Christmas festival that is rooted in 19th century Norse culture and traditions. 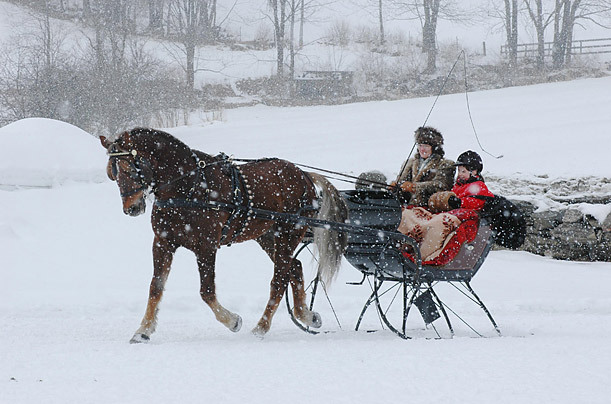 While the city itself is a sight to see during the holiday season, Wassail Weekend brings a distinctive parade of more than 50 horses and riders adorned in holiday costumes and period dress, as well as wagon and sleigh rides, a wassail feast and tours of the city's most notable historic buildings. (Wassail is a hot beverage, often something akin to cider, associated with Christmastime.) The city even makes it easy to complete (or start) your holiday shopping: throughout the festival, local shops stay open late, with enticing window displays that appear to be plucked from a movie scene. It's everything you imagine Christmas to be, but so much more.